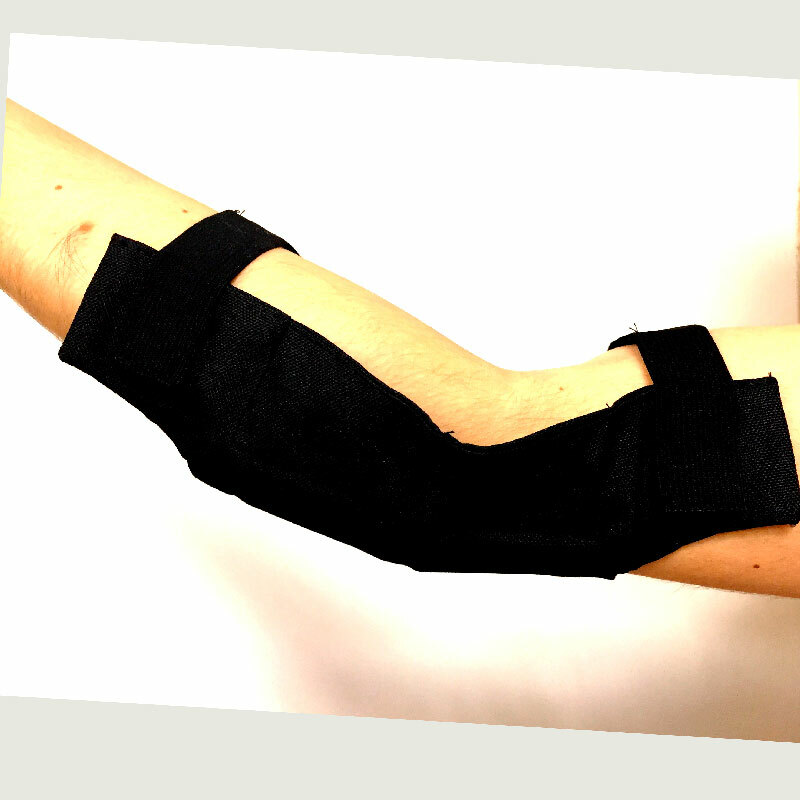 The shungite elbow pad was designed specifically for the local treatment of elbow joints diseases. Due to the directed action of the healing mineral, patients soon stop to suffer acute pain and the regular use helps to get rid of the root causes of the disorders. What is the purpose of the shungite elbow pad? The elbow pad is an effective remedy for home treatment of common joint diseases. The positive effect is observed for arthritis and arthrosis, ulnar nerve tunnel syndrome, tendons and muscle tissues inflammations. The shungite elbow pad is recommended to relieve pains after the gym training, for regular weight loads, long-lasting monotonous arms movements, injuries at collisions and falls. But do not forget that it’s the doctor who should diagnose your disease and never neglect medical advice. How does the shungite elbow pad work? The cotton base is divided into sections with the shungite plates sewn in it. The detachable hygienic cover made of soft fabrics protects the skin from friction. The pad covers the elbow, the part of the shoulder and the forearm. Due to the elastic band fastener, it is fixed conveniently on the arm of any size and does not pinch or move. The shungite elbow pad warms the affected area, restores the blood circulation, reduces inflammations and swellings, relieves the dragging pain occurring during the elbow flexion and extension. How to use the shungite elbow pad? To accelerate the therapeutic effect of the shungite plates, the elbow cover should be heated to 30ºC. Before wearing it, you can put it on the radiator or iron it without pressure. You shouldn’t wear the shungite elbow pad more than 8 hours a day. You can continue wearing it with acute joint pains. In other cases, you should divide the daily treatment manipulation into equal time intervals, alternating the therapeutic action with the treatment gaps. The pad should be dried on a radiator or in direct sunlight after every manipulation. The removable decorative cover should be periodically hand-washed in lukewarm water and with ordinary laundry soap or non-aggressive detergent. Never wash the elbow pad itself! 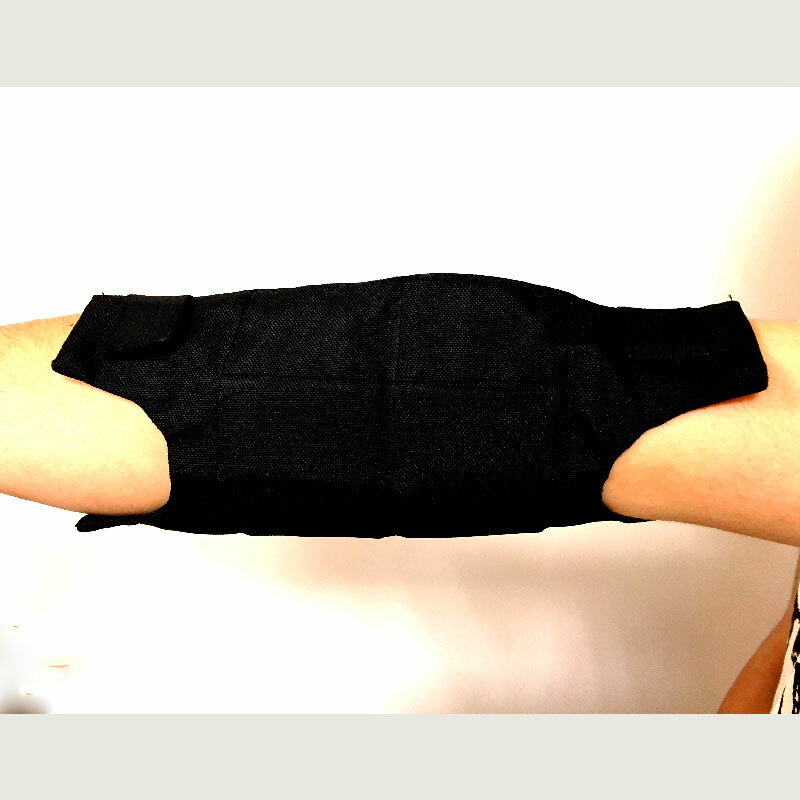 Buy our shungite elbow pad and forget about joint and muscle pains forever!